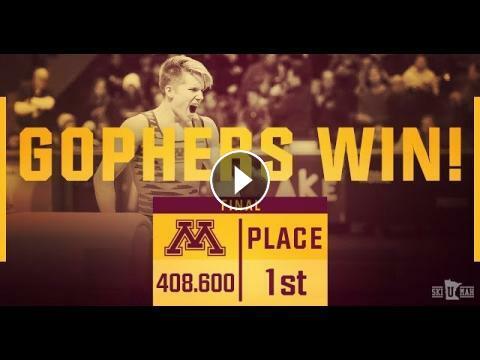 Not only did the Minnesota men's gymnastics team come away with the meet victory at Maturi Pavilion on Saturday, but the team also set some new records. The No. 4 Gophers defeated No.14 Arizona State and the University of Minnesota Club Team with a season-high team score of 408.600 and swept the event titles for the second meet in a row. The team also set new event highs on the season on pommel horse (66.900), vault (72.050) and high bar (65.750).